University Alabama Press, 9780817318574, 240pp. When the Puritans arrived in the New World to carry out the colonization they saw as divinely mandated, they were confronted by the American wilderness. Part of their theology led them to view the natural environment as “a temple of God” in which they should glorify and serve its creator. The larger prevailing theological view, however, saw this vast continent as “the Devil’s Territories” needing to be conquered and cultivated for God’s Kingdom. These contradictory designations gave rise to an ambivalence regarding the character of this land and humanity’s proper relation to it. Loving God’s Wildness rediscovers the environmental roots of America’s Puritan heritage. In tracing this history, Jeffrey Bilbro demonstrates how the dualistic Christianity that the Puritans brought to America led them to see the land as an empty wilderness that God would turn into a productive source of marketable commodities. Bilbro carefully explores the effect of this dichotomy in the nature writings of Henry David Thoreau, John Muir, Willa Cather, and Wendell Berry. Thoreau, Muir, Cather, and Berry imaginatively developed the Puritan theological tradition to propose practical, physical means by which humans should live and worship within the natural temple of God’s creation. They reshaped Puritan dualism, each according to the particular needs of his or her own ecological and cultural contexts, into a theology that demands care for the entire created community. While differing in their approaches and respective ecological ethics, the four authors Bilbro examines all share the conviction that God remains active in creation and that humans ought to relinquish their selfish ends to participate in his wild ecology. Loving God’s Wildness fills a critical gap in literary criticism and environmental studies by offering a sustained, detailed argument regarding how Christian theology has had a profound and enduring legacy in shaping the contours of the American ecological imagination. 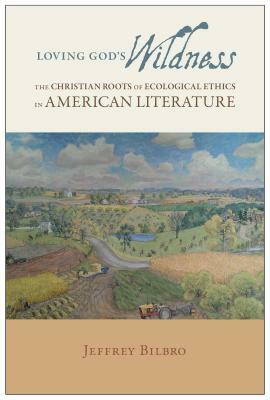 Literary critics, scholars of religion and environmental studies, and thoughtful Christians who are concerned about environmental issues will profit from this engaging new book.